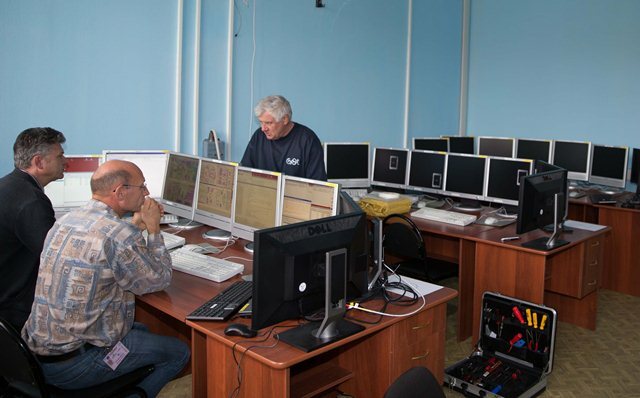 The third Swarm satellite arrived safely in Plesetsk at the weekend, on Saturday 21 September. 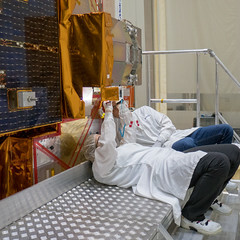 I personally accompanied the satellite on its trip from Munich to Plesetsk. 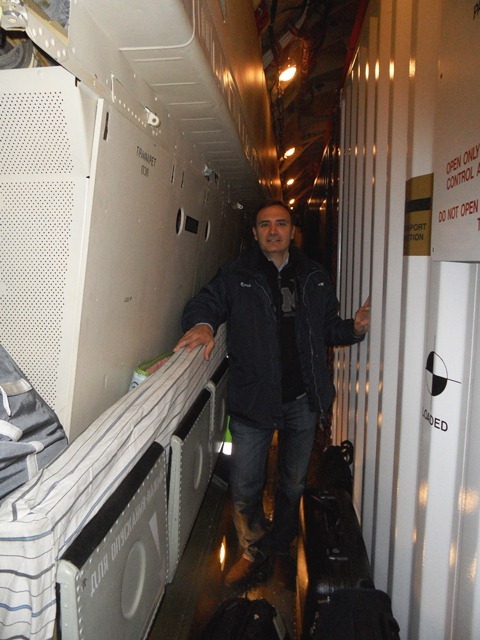 Space for passengers on the Ilyushin IL-76 was pretty tight, but it was an interesting experience. Custom clearance at Arkhangelsk, or Archangel, went very smoothly. This third flight completes the shipment for the Swarm launch campaign. In total, we have shipped six 6 metre-long containers carrying more than 60 000 kg of cargo. We spent the rest of the weekend continuing with the tasks of unpacking and setting up in the MIK. 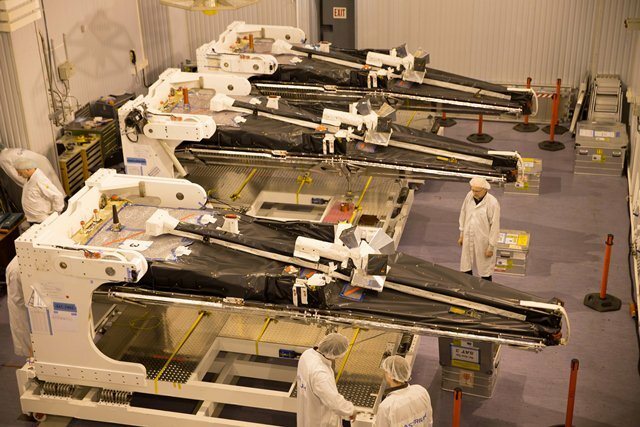 By 15.00 on Sunday we had the trio of Swarm satellites lined up in cleanroom 101A and hooked up to the electrical ground support equipment, EGSE, which is in the adjacent room – 111A. The control room, with all the monitors is on the first floor, in the office area. 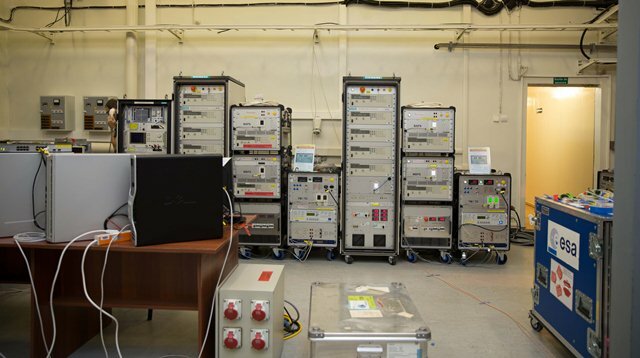 This week we are focusing on the ‘Abbreviated Functional Test, which will take place on Tuesday, and then fuelling the first spacecraft (SC1) with Freon gas. We have also started battery charging for SC1. Meanwhile, Catherine and Claudia joined us safely on Sunday, while Yvon and Sylvain have left.